RRB ALP, Technician exam 2018: The first stage CBT result was declared this year on November 2 but withdrew it later after the candidates complained about the wrong answer keys. Also, there is no update regarding the change in result date for RRB ALP & Technician Exam 2018. It is adviced that the aspirants keep a close check on the regional website for the result. The revised results will be out tomorrow. 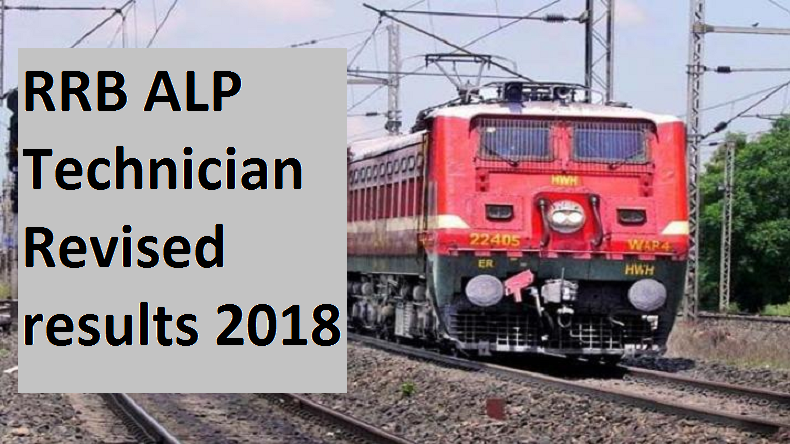 RRB ALP, Technician exam 2018: The Railway Recruitment Board RRB has scheduled to release their Auto Loco Pilot & Technician 1st stage CBT Exam 2018 results tomorrow that is December 20, 2018. The candidates can check their result on the regional websites of RRB – rrbmumbai.gov.in and other regional RRB websites. Meanwhile, Railway Recruitment Board has started the refund process for all those candidates who have appeared for the examination. In the meantime, it is suggested that the applicants who have not received the refund money to be patient till December 20 as the link will be soon activated for the same. Also, there is no update regarding the change in result date for RRB ALP & Technician Exam 2018. It is adviced that the aspirants keep a close check on the regional website for the result. The revised results will be out tomorrow. The first stage CBT result was declared this year on November 2 but withdrew it later after the candidates complained about the wrong answer keys.